New work revisiting studies made in what is now the Queen Elizabeth Olympic Park in East London. The location is now utterly unrecognisable, transformed into terraced lawns. 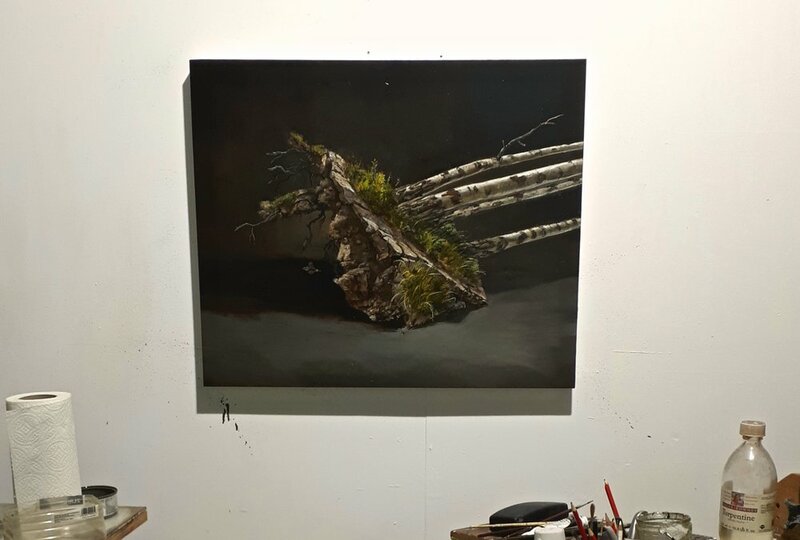 Studio June 2017 new works: Top lit Birches left and Fallen Tree. Below are images of my London studio. Firstly: large works in progress for installation at the Venice Biennale. Click here for Venice exhibition details, press release and catalogue entry. Work in progress "Cherry Leaves" for Collateral Drawing Exhibition Ipswich.